DESCRIPTION: Natura 2000 area with a catchment site in the UNECE CLRTAP ICP IM programme for air pollution and climate impact effects on ecosystem biodiversity. It is a woodland for centuries and subject to grazing by cattle till the 1930´s. Probably clear-felled in the 1860´s and subsequently established spontaneously. Forest slightly thinned in the 1940´s and 1955. At present over 100 year old trees but subjected to a wind-throwing storm in 2005. Research is primarily directed on air pollution effects on biological processes. It is also working with hydrological and hydrochemical budgets involving nutrients, chemical compounds and heavy metals. Monitoring also of the vegetation cover. Monitoring is carried out on meteorological variables, air chemistry, trees, field layer vascular plants, mosses, epiphytic algae, needle lichens, soil water and groundwater, discharge, soil physical and chemical variables and hydrochemistry. DESCRIPTION: The best equipped integrated monitoring station in Lithuania with almost full equipment for air, deposition, soil, and surface water monitoring, including meteorology and surface ozone, and Hg. There are 50 POPs in rivulet basin and 20 permanent observation pine stands to monitor pine condition. Activity at IMS started in 1994, on permanent observation stands in 1984. 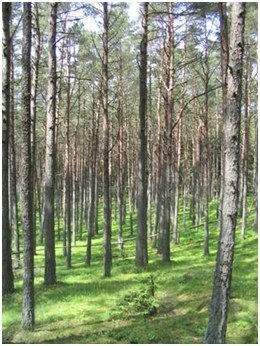 Main research topic: Forest health and productivity, effect of climate warming on sustainable growth of over-matured natural Scots pines, integrated effect of the acidifying species, and surface ozone on pine forest condition and growth, old-growth of pine forest. Remote sensing data on forest condition assessment, hyperspectral images. Mass balance of nutrition and pollutant contaminants, their effect on forest ecosystem. Main LTER parameters: Meteorology, air concentrations of SO2, SO42-, NO3-, NO2, NH4+, acid deposition of SO42-, NO3-, NH4+, surface ozone,Chemical composition of the soil, ground, and surface water. Nutrition state of soil. Dendrometrical parameters of the monitored trees, their health, defoliation level, tree annual increment, mortality, regeneration, dead wood amount, productivity, biodiversity of ground vegetation, epiphitic lichens and mosses, LAI, FAR. 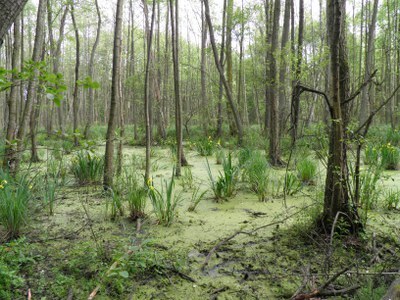 MAIN ECOSYSTEM/HABITAT type (Eunis classification): Arable land, Forest, Grassland, , Wetlands, Shrublands. v) three cars: an auto-laboratory, an utility car and a minibus for 8 persons. Complex intensive monitoring and research station (equipped with meteo and hydrological sensors for real time measurements and other equipment for research activities as well as with portable equipment for long term CO2 soil measurement - LICOR); One complete automated real time measurements hydrological station (for ground water analysis – including piezometers); A research vessel (“Universitatea 3”) hosting up to 6 researchers and equipped with the necessary instruments for both sample collection as well as primary analysis of different samples. The field equipment includes automatic analyzer for algae classes and LICOR real time water analyzer (for pH, conductivity, O2 and nutrients); A complex laboratory located in Bucharest for further analyses: Calorimeter, DOC (Dissolved organic Carbon), CHNS analyzer, automatic analyzer for nutrients, heavy metals- atomic spectrophotometers, and atmospheric deposition. The GIS and modeling laboratory is equipped with needed software for a complete analysis of the results. iii) Systems ecology and sustainability (eg. nested socio-ecological systems at large watersheds and the dynamic relationships among their biophysical structure of natural capital and, social and industrial metabolism as well the critical role played by social capital for operationalization the concept of sustainable development). DESCRIPTION: The Brenna monitoring site was established in 1991 and consists of a monitoring station at the elevation of 665 m a.s.l. where the measuring equipment is located, i.e. monitors for continuous measurements of ozone (Environics), Wind Speed Meter (Young) pyranometer (LiCo), a permanent plot in the 120-year-old Norway spruce stand at the elevation of 750 m a.s.l. and three catchments of a different areas: 7.4, 50, and 480 ha (limnigraphs) . The balance of nutrients in the catchments is made on the monthly basis. Investigations of health status of trees and floral characteristic have been carried out since 1994. The analyses are carried out in a certified laboratory of the Institute for Ecology of Industrial Areas, Katowice (Certificate No AB 325). Main research topics: Response of tree stand to air pollution. The balance of nutrients in a small mountain catchment. 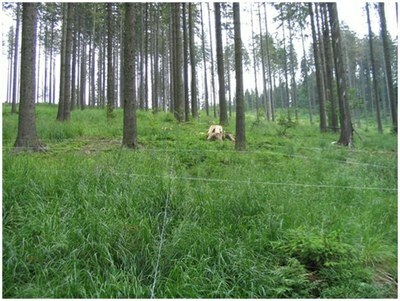 Changes in floral characteristics under forest stand reconstruction. Effect of forest management (falling, skidding) on soil (erosion). 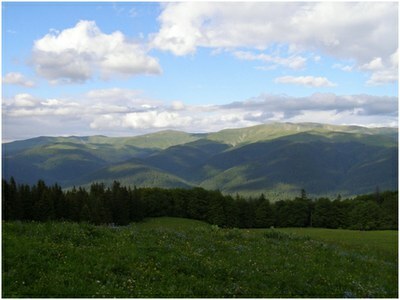 DESCRIPTION: The site is located over two protected areas (Bucegi NP and Piatra Craiului NP) and comprises 22 permanent research plots, emplaced in the most representative forest ecosystems. 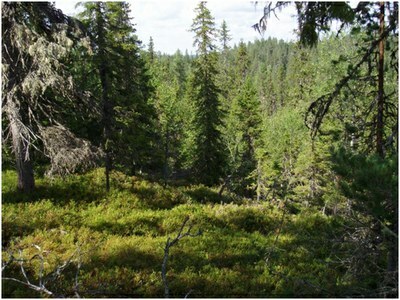 Main research topic: The specific research topics are are to characterize spatial and temporal distribution of the ozone (O3) and other phytotoxic agents (SO2, NO2 and NH3) and to evaluate the influence and intensity of their concentrations and of climate changes upon forest health status, forest soils, plant nutrition and forest ecosystem’s biodiversity. Main LTER parameters: Vascular plant species, abundance, coverage; Soil parameters; Meteorology; Above ground biomass and productivity; Crown status of trees; Deposition and soil solution parameters; Air quality. DESCRIPTION: The site consists of “orographic islands” in central Mediterranean basin, along the Apennines mountain range. 35 plots multi-scale and several temperature data-loggers are monitored. Main research topics. Vascular species diversity and abundance are monitored every 4-7 years (GLORIA project, since 2001). Population biology of 5 endangered species are laid out yearly, since 2005. Since 2009 observations on Chyonomis nivalis distribution are carrying out. 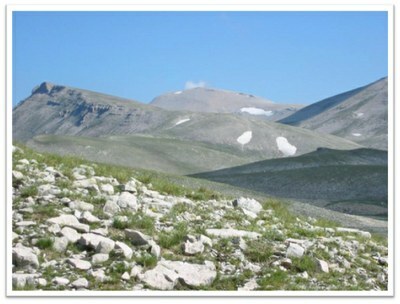 Snow cover and chemical composition of snow, CO2 evolution from soil and patterned ground formation processes were studied through soil temperature regimes. Main LTER parameters: Plant species diversity, population trends of endangered vascular plants, soil basic characteristics, soil chemistry, snow chemistry and cover, cover of CORINE land use/EUNIS habitats. 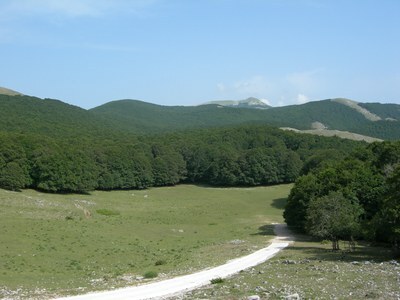 DESCRIPTION: Overview: The site was established in 1991 in a typical beech forest of Central Italy. Research activities have been performed within several national and EU funded project. Currently, activities are carried on within a national project on forest monitoring (Conecofor) and european projects (GHG-Europe, LIFE+ EnvEurope and ManFor C.BD. 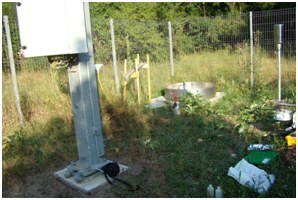 Facilities: meteorological sensors and samplers (inside and outside the forest), data loggers, eddy covariance instrumentation and other sampling devices. Walk-up tower (26 m). Main LTER parameters: Climate, energy balance, wet deposition, ozone, foliar and soil chemistry;crown condition and vegetation, phenology, leaf area index; stem growth, ecosystem fluxes, net primary production. DESCRIPTION: Collserola is a 8.000 ha Natural Park surrounded by one of the largest Metropolitan Areas in Southern Europe: the Barcelona Region (ca. 4.000.000 people). Even though, the Park still contains some well preserved Mediterranean-type forests and open habitats (pseudo-steppes and savannas) subjected to strong human pressures (e.g. wildfires, frequentation, pollution). The Can Balasc Biological Station (170ha) in the core of the Park is the main research infrastructure aimed to study and monitor the impact of these pressures. The Station contains several permanent plots with a large one (1ha) fully equipped to monitor forest dynamics, gas exchange and biogeochemistry. Main research topics: Effects of climate change on Mediterranean-type forests; Effects of land cover and land use changes in biodiversity; Effects of habitat loss and fragmentation on vertebrate fauna. Main LTER parameters: Forest growth; Tree mortality; Tree recruitment; Seed production; Phenology. 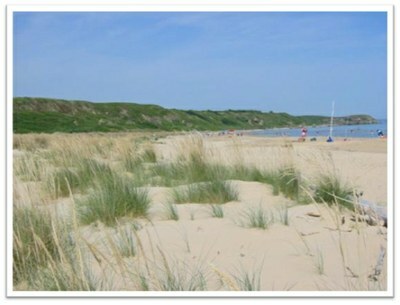 DESCRIPTION: This site is characterized by sandy coastal dunes of southern Abruzzo and northern Molise along Italian Adriatic coast, included in the Nature 2000 network, due to habitat and species of EU interests (S.I.C. IT7228221 “Foce Trigno-Marina di Petacciato” and S.I.C. IT7140108 “Punta Aderci-Punta della Penna”). 200 plots along belt transects are monitored. Main research topics: Vegetation dynamics and alien vascular plant abundance are monitored each two years, Testudo hermanni and Charadrius alexandrinus population dynamics is analyzed each year, multitemporal analyses of shores is carried out each two years, EC habitats mapping and monitoring is laid out each 4-5 years. Main LTER parameters: Plant species diversity, population trends of alien vascular plants, Fauna diversity,, cover of CORINE land use/EUNIS habitats. DESCRIPTION: Natura 2000 area being a catchment site in the UNECE CLRTAP ICP IM programme for air pollution and climate impact effects on ecosystem biodiversity. Land-use history: Biggest trees felled around 1900. Light grazing by cattle up to the 1950´s. 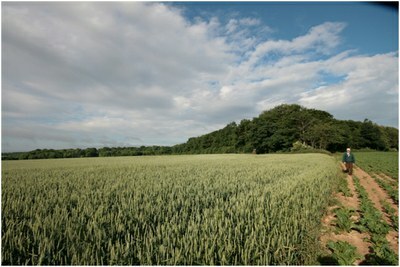 Other information: The site is part of a nature reserve. Forest fires > 100 years ago on dry slopes. It is located on an elevated location and resembles a forest of long continuity. Research is primarily directed on air pollution effects on biological processes. It is also working with hydrological and hydrochemical budgets involving nutrients, chemical compounds and heavy metals. Monitoring is also done for of the vegetation cover. Monitoring is carried out on meteorological variables, air chemistry, trees, field layer vascular plants, mosses, epiphytic algae, needle lichens, soil water and groundwater, discharge, soil physical and chemical variables and hydrochemistry. DESCRIPTION: Protected area being a catchment site in the UNECE CLRTAP ICP IM programme for air pollution and climate impact effects on ecosystem biodiversity. Land-use history: Probably grazed woodland for centuries before clear-felling 1900-1910 and subsequent forest tree planting and thinning (1968). Grazing was suspended around 1950. In 1980 roughly a half hectar was clear-felled and planted with pine. During the 1990´s clear-felling took place up to the watershed in the southwest and northeast and a timber road was opened straight through the area in an east-west direction. The IM site, which is called F1, is one of several small catchments around lake Gårdsjön which have been thoroughly investigated from both lake and forest point of view since around 1970. The most widely known project is probably the ”Roof Project” during the 1990´s. Responsible for the research is the IVL Swedish Environmental Research Institute Ltd, Gothenburg. The IM-monitoring started in 1991. Research is primarily directed on air pollution effects on biological processes. It is also working with hydrological and hydrochemical budgets involving nutrients, chemical compounds and heavy metals. Monitoring is also done for of the vegetation cover. Monitoring is carried out on meteorological variables, air chemistry, trees, field layer vascular plants, mosses, epiphytic algae, needle lichens, soil water and groundwater, discharge, soil physical and chemical variables and hydrochemistry. 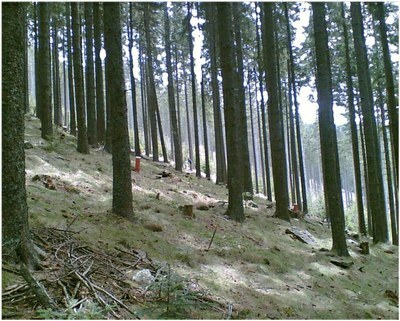 DESCRIPTION: The alpine site is located in East Styria, the current stand is a Norway spruce monoculture. Measurements were begun in 1990. Primary research questions center around the lack of natural regeneration of all tree species and slow stand growth. The site is instrumented with climate stations, on-line measurements of plant-available light and soil temperature measurements. Data from two detailed inventories on tree rejuvenation, humus form distribution and ground vegetation are available as well as soil chemical analyses, LAI measurements and detailed humus form descriptions, litter analyses and litter input measurements. At the site two national and one international project have taken place. Main research topics: Rejuvenation, carbon sequestration, ground vegetation development. DESCRIPTION: Kampinos National Park (Polish: Kampinoski Park Narodowy) is a National Park in east-central Poland, in Masovian Voivodeship, on the north-west outskirts of Warsaw. The park was created in 1959. It covers the ancient Kampinos Forest (Puszcza Kampinoska), and in January 2000 the area was added to UNESCO's list of biosphere reserves. The Park is now slightly smaller than originally, covering 385.44 square kilometres (148.82 sq mi), of which 46.38 km2 is strictly protected. The buffer zone around the Park covers 377.56 km­2 Forests account for around 70% of the park's area, and most the common tree is the pine. Kampinoski National Park is located at the biggest river junction in Poland - here valleys of Vistula, Bug, Narew, Wkra and Bzura meet together. 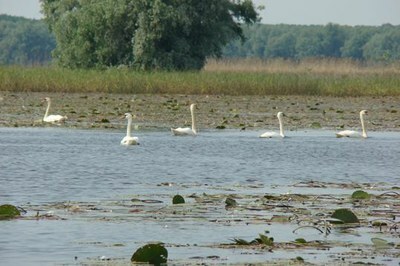 There are no lakes, the biggest river of the Park is artificial Łasica Canal, a tributary to the Bzura. Park’s flora is rich with around 1400 species of plants, of which 69 are protected. Park's landscape is a mix of sand dunes and swamp lands with pine trees growing on sand and meadows and alder forests on swamps. 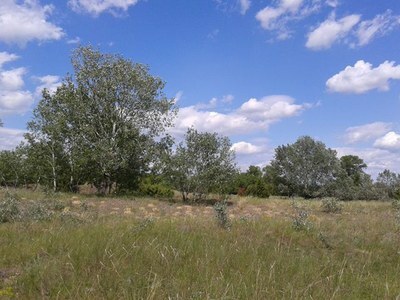 - Increasing the unique, natural value of Kampinos Forest’s nature, including the preservation of semi-natural forest ecosystems and artificial open lands such as meadows. - The preservation of the high diversity of wildlife and flora of this area. - Elimination of alien animal and plant species. - Elimination of human pressure through the buying of private lands and later management of the bought plots. - Implementation of renaturalisation and reintroduction projects according to current needs and means. DESCRIPTION: Natura 2000 area being a catchment site in the UNECE CLRTAP ICP IM programme for air pollution and climate impact effects on ecosystem biodiversity. 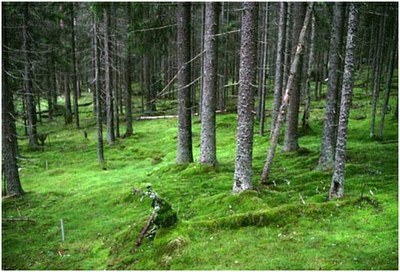 It is a woodland for centuries and subject to grazing by cattle till the 1930´s. Land-use history: Trees have been felled for charcoal to be used in the neighboring furnace since the 16th century. At the IM site eight ”charcoal bottoms” have been traced, several of them with remnants of cabins. The present stands are about 110 years old, probably sown since the latest clear-felling in the early 1900th century. In the upper part there are a few larch trees. Research is primarily directed on air pollution effects on biological processes. It is also working with hydrological and hydrochemical budgets involving nutrients, chemical compounds and heavy metals. Monitoring is also done for of the vegetation cover. Monitoring is carried out on meteorological variables, air chemistry, trees, field layer vascular plants, mosses, epiphytic algae, needle lichens, soil water and groundwater, discharge, soil physical and chemical variables and hydrochemistry. DESCRIPTION: The site is a 4x4 km square within an agricultural dominated landscape (about 75% arable land) about 20 km northwest of the city of Halle. The main focus is on biodiversity of vascular plants (surveyed each second to third year), arthropods (mainly pollinators, surveyed yearly by combined flight traps) and birds (surveyed each third year) in relation to land use and climate change. Vegetation and land use data are available since 1960, birds and arthropods started in 2003 and are regularly surveyed since 2009. A weather station is operating since 2012. DESCRIPTION: The site is a 4x4 km square within an agricultural dominated landscape (about 75% arable land) about 40 km Northwest of the city of Halle. The main focus is on biodiversity of vascular plants (surveyed each second to third year), arthropods (mainly pollinators, surveyed yearly by combined flight traps) and birds (surveyed each third year) in relation to land use and climate change. Vegetation and land use data are available since 1960, birds and arthropods started in 2003 and are regularily surveyed since 2009. DESCRIPTION: The site is a 4x4 km square within an agricultural dominated landscape (>95% arable land) about 20 km Southwest of the city of Halle. The main focus is on biodiversity of vascular plants (surveyed each second to third year), arthropods (mainly pollinators, surveyed yearly by combined flight traps) and birds (surveyed each third year) in relation to land use and climate change. The survey of vegetation, land use, birds and arthropods started in 2003 and are regularly continued since 2009. DESCRIPTION: The site is a 4x4 km square within an agricultural dominated landscape (about 95% arable land) about 75 km Northwest of the city of Halle. The main focus is on biodiversity of vascular plants (surveyed each second to third year), arthropods (mainly pollinators, surveyed yearly by combined flight traps) and birds (surveyed each third year) in relation to land use and climate change. Vegetation and land use data are available since 1960, birds and arthropods started in 2003 and are regularily surveyed since 2009. MAIN ECOSYSTEM/HABITAT type (Eunis classification): Boreal bog bilberry Scots pine fen woods, Boreal northern bilberry spruce swamp woods, Boreal [Picea] and [Picea] - [Betula] fen and bog woods, [Picea] taiga woodland, [Pinus sylvestris] woodland south, Coniferous forests on, or connected to, glaciofluvial eskers. 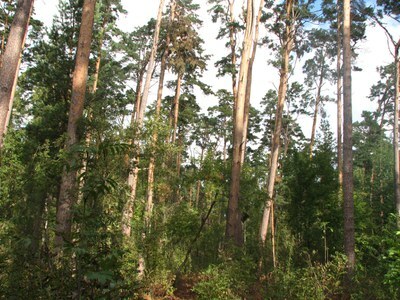 DESCRIPTION: Overview: The site consists of 52 permanent observation point (POPs) established in 1989 along entire Curonian Spit NP according to methodology of Forest monitoring programme Level 1 and 260 POP in Nagliai reserve area established in 2002. On 52 POPs the assessment of crown defoliation of Scots pine is performed annually. In the middle of a NP an EMEP station was established in 1980. There air concentrations of the acidifying species, their deposition and surface ozone are regularly monitored. Data holder and provider of these contaminants in Lithuania is Lithuanian Agency of Environmental Protection. There is a possibility to include into investigation a part of the NP which belongs to Russian federation. 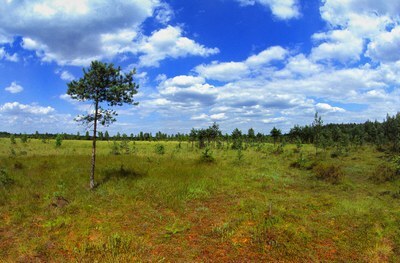 ASU and Russian national park “Curonian spit” have signed a collaboration agreement in the field of science on 23 January 2013. Main research topic: Forest health and productivity, effect of climate warming on sustainable growth of over-matured natural Scots pines, integrated effect of the acidifying species and surface ozone on pine forest condition and growth, old-growth pine forest. Remote sensing data on forest condition assessment, hyperspectral images. 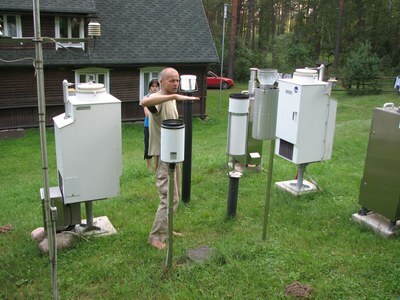 At EMEP station objectives of the current research is to provide continuous aerosol size distribution measurements along with the measurements of basic meteorological parameters and certain gas components on the coastal part of Lithuania. Responsible performer is an Institute of Physics, data provider is Lithuanian Agency of Environmental Protection. Main LTER parameters: Meteorology, air concentrations of SO2, SO42-, NO3-, NO2, NH4+, Acid deposition of SO42-, NO3-, NH4+, surface ozone. Dendrometrical parameters of the monitored trees, their health, defoliation level, annual increment, mortality, regeneration, dead wood amount, productivity, biodiversity of ground vegetation, epiphitic lichens and mosses, LAI, FAR. 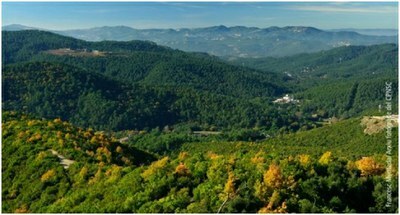 DESCRIPTION: Monte Rufeno research site is included in the typical hill landscape of Southern Tuscany and Northern Lazio, which was subject, along past times, to heavy exploitation by man. Until 1960s, wide Turkey oak woods (Quercus cerris L. ) were cut on a regular basis for fire timber production. When logging activities ended, forests could achieve older stages and show up today as monospecific and poorly stratified stands. 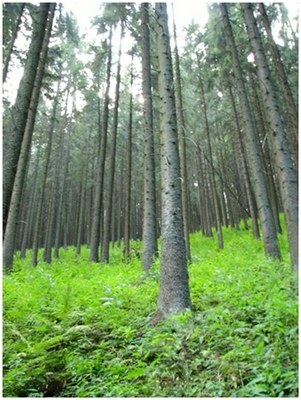 Pines (Pinus nigra) plantations are also present. The surrounding landscape is characterized by rich water sources and heavy landslides along soil clay strata. Since 1995, the permanent forest monitoring plot is included in the CONECOFOR National Programme, representing the National branch of the ICP Forests International Network. Several Universities and research institutes take part in data sampling and data management. The research site is included inside the “Monte Rufeno Natural Regional Reserve”. The plot is fenced and includes an automatic meteo station, leaves and atmospheric deposition collectors, lysimeters and tree girth growth rings. An additional 0,5 ha wide plot, located next to the main one but in the open field, includes wet and dry collectors and a wind station and an ozone station. Data coming from the plot can be freely accessed upon request to be sent to National Forest Service (quotation of data source required). Main research topics : climate, vegetation, crown conditions, tree phenology, soil and soil solutions, leaves chemistry, forest structure, tree growth, atmospheric depositions, ozone effects. 4. socio-ecological analysis (starting from data collection, development of stakeholders maps, fuzzy cognitive mapping). The socio-ecological analysis has become an issue for the research and monitoring activities mainly due to the necessity to construct better scenarios for sustainable development. As consequence the database was extended in order to tackle this type of information. DESCRIPTION: The Wüstebach research station is part of LTER-D and TERENO. It is situated in the German low mountain ranges within the National Park Eifel. The mean annual precipitation is ~1100 mm (1961–1990) and the mean annual temperature is ~7°C. The main vegetation type is Norway spruce (Picea abies). The bedrock consists of Devonian shales in which mainly Cambisols and Planosols have developed. Soil moisture and temperature are measured at 150 locations at three depths (5, 20, 50 cm). Runoff discharge is monitored at three sites. Groundwater levels are monitored at eight sites. At two sites four trees are instrumented with sap-flow sensors to infer transpiration fluxes of the spruce trees. 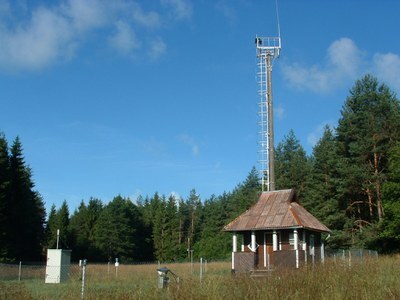 Latent and sensible heat fluxes are measured at a 34-m-high meteorological tower using the eddy covariance method. Soil water fluxes are measured in six lysimeters. In 2013 a deforestation experiment is planned. DESCRIPTION: The site of Petrohan is situated in the Northwestern part of the Balkan mountain (longitude 43.12 and latitude 23.13) at 1490 m above sea level on the granite as a base rock with a Moderate Continental, Mountaineous Climat and Brown (Dystric Cambisols) soils. The amount of the annual precipitation is 1060 mm, mean annual temperature 4.8 oC. The vegetation is presented by an Assosiation of the Asperulo- Fagetum Sylvaticea, variant of Salvia Glutinosa, Habitat 9130. 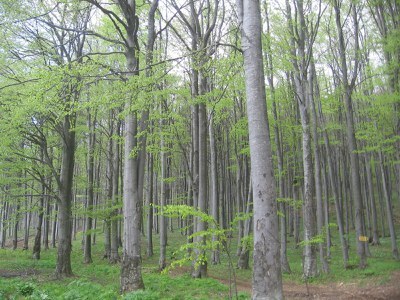 The age of the Beech forest is 125 years with a mean annual timber 2.92 m3.ha-1.yr-1. Collectors for throughfall under Beech crowns have been installed in 3 positions as follow: 1- close to the Beech stem; 2- in the middle of the crown projection; 3- between 2 trees. Throughfall is collected by 18 plastic funnels (1 m above the ground) with a collecting surface of 314 cm2 in polyethylene bottles stored in the upper soil to minimize biological activity in the collected solution by darkness and lower temperature. The collectors for the snow bulk precipitation and throughfall have a collecting surface of 2400 cm2. 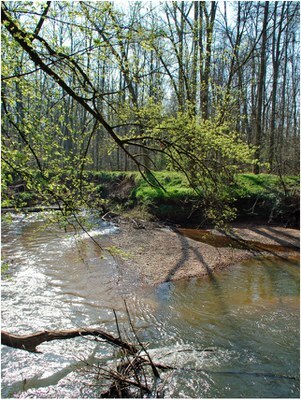 Individual water samples are collected fortnightly with measuring water volume and analyzing for the ions and elements of concern at the laboratory of Environmental protection at the University of Forestry, Sofia. Stemflow plastic collectors as spirals are attached directly to the beech stems. They are firmly attached to the bark by means of silicone preventing stemflow from flowing behind them. A plastic filter is used to minimise sample contamination by letter, dead insects etc. Storage containers for the stemflow are kept cool and dark to minimize microbiological or chemical changes in the sample. The frequency of empting the containers for measuring the amount and chemistry of the stemflow is the same as for all other deposition measurements. All samples (bulk precipitation, throughfall, stemflow and soil solution) are stored in the refrigerator at 1-4 oC before the analyses. 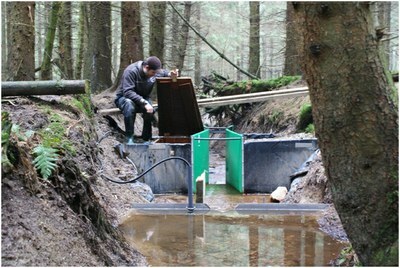 Conductivity, pH, nitrate and ammoniun are analysed on the same day of sampling. Samples are filtered through a 45 μm membrane filter in order to remove any solid materials and to stabilise them for the subsequent analyses. Main research topics: Sustainable development of Beech Forest, Deposition chemistry, Drinking water chemistry, Critical loads of acidifying pollutants and heavy metals, Biodiversity. Main LTER parameters: pH, Conductivity, Total alkalinity, Ca, Mg, Na, K, NH4+-N, NO3—N, SO42—S, Cl-, Total P, DOC, Cd, Pb. DESCRIPTION: The Rhine-Main-Observatory is situated in the Central German agglomeration area “Rhein-Main” and covers the catchment area of the river Kinzig (in total ~1,000 km², 100 km² core area). There, we investigate which parameters influence biological diversity in a densely populated, cultural landscape. To this end, the species diversity in the animal and plant realm is assessed in a network of permanent measuring plots. 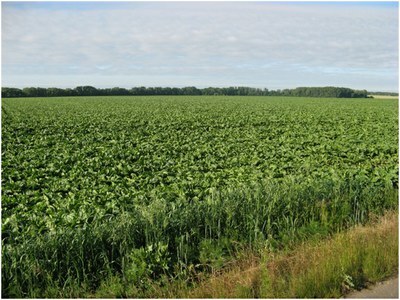 In parallel, land use and other physical and chemical environmental variables are measured. With this long-term and large-scale approach, we can draw conclusions on the causes of changes in species diversity in relation to land use and climate change. This helps to estimate future land use- or climate-related changes in biodiversity, and we can give advice for the protection of endangered species and habitats. 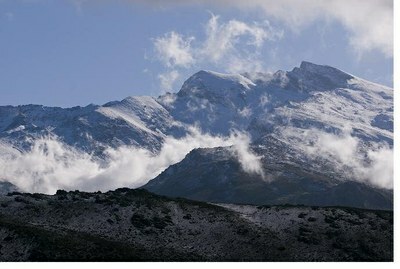 DESCRIPTION: Sierra Nevada is a high mountain range (reaching 3.481 m. a. s. l.) located in Southern Spain covering 2,000 km2. 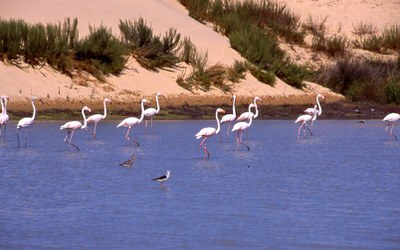 It’s considered one of the most important biodiversity hotspots in the Mediterranean region. It hosts more than 2100 vascular plant species, being 80 of them endemic. With a population of 90.000 inhabitants, the main economic activities are farming (agriculture and stockbreeding), tourism, beekeeping, mining and skiing. Predominant ecosystems are high mountian shrublands, conditioned by the long period of snow cover, and pine plantations. 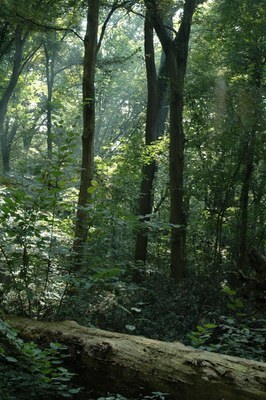 There are also some natural forests (oaks, Pyrenean oaks, maples, etc.) that are regenerating after decades of overexploitation. Sierra Nevada Global Change Observatory is a long term monitoring program to assess the effects of global change in this LTER site. The basic objective is to ensure the collection of information necessary to identify as early as possible the impacts of global change, to design management actions that minimize them and encourage the system adaptation to new scenarios. The data generated by this set of methodologies must be transformed into useful knowledge for adaptive management of natural resources. The key issues are the integration and analysis of monitoring data by an information management system, and the transfer of current scientific knowledge to society and the natural resource managers through effective dissemination. The design of the monitoring programme was made based on the thematic areas of GLOCHAMORE Research Initiative (UNESCO). A set of 48 different monitoring methodologies were defined to assess both the state of key ecological functions and the structure of the main ecosystems in Sierra Nevada. It also includes methodologies to characterize the socioeconomic activities. Ecological monitoring gathers around meteorological stations, and is complemented with other wireless sensors aimed to measure other abiotic factors (water temperature in main rivers and lakes, soil temperature, CO2 fluxes, main contaminants concentration, etc). DESCRIPTION: The Síkfőkút Project site was established in 1972 and joined IBP. It became a member of LTER Hungary and ILTER in 1995, and joined LTER Europe in 2007. The site is situated in the Bükk Mountains and is covered by a mixed deciduous forest stand (95-100 yr) dominated by sessile oak and turkey oak. The soil is a deep brown forest soil formed on miocenic pebble. The site is equipped with a meteorological tower, electricity and experimental houses. Main research topics: Climate change and forest dynamics; Pant ecophysiology and stress responses; Detritus Input and Removal Treatments (DIRT). Main LTER parameters: Standard meteorological parameters. Soil parameters: volumetric soil water content, soil chemistry. Rainfall and thoughflow chemistry. Vegetation structure: species composition, abundance, cover, LAI. Functional parameters: stem radius increment; dendrochronology, ecophysiology; primary production, litter production. 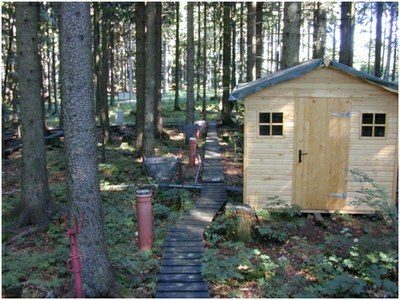 DESCRIPTION: The Słowiński National Park monitoring was established in 1993 and consists of a monitoring station, where the measuring equipment is located, i.e., Wind Speed Meter (Young) pyranometer (LiCo) hygrometers, etc., permanent plots in the 90-year-old spruce and pine stands where bulk deposition, throughfall and soil solution are collected on the monthly basis. The investigations of health status of trees and floral characteristic have been carried out since 1994. The analyses are carried out in a certified laboratory of the Institute for Ecology of Industrial Areas, Katowice (Certificate No AB 325). Main research topic: Response of tree stand to air pollution. DESCRIPTION: Bosco della Fontana is one of the last remaining examples of lowland forest in the Po Valley. A permanent research station is established in the site, where ecologists and systematic entomologists are employed. Different abiotic and biotic components of the ecosystem are objects of study: meteorology, energy inputs, atmospheric deposition, soil features, hydrology, forest structure, forest phenology, plant and animal diversity, animal ecology, pollution and alien species introduction. The main management actions are aimed at monitoring, conservation and improvement of the microhabitats and populations of species characterizing an old-growth forest, therefore particular attention is given to the saproxylic comuninty and processes of wood decay. 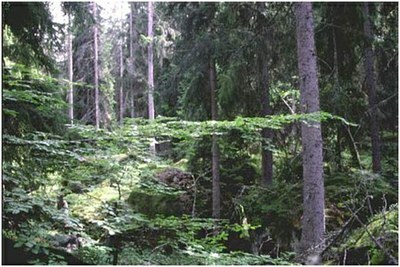 DESCRIPTION: The Site belongs to CONECOFOR Program since 1995 and is included in the ICP Forests and ICP IM European networks. The plot is a secondary Picea abies dominated forest with Abies alba Mill. (lower tree layer) and Vaccynum myrtillus L. (str. Herbaceous layer) and is located in the Eastern Alps in the National Forest of Tarvisio. Is composed by 2 square plots 50X50 mq; 1 plot for most of surveys and 1 for vegetation control. Here, the long term monitoring is carried on, collecting continuosly abiotic and biotic data according to ICP Forests and ICP IM manuals. The National Forest Service – Division 6^ coordinates the Program, while the surveys are carried on in collaboration with several research Institutions and Universities.. More than 15 years data series are stored in the data bases of Institutes and Universities and data are free under request. 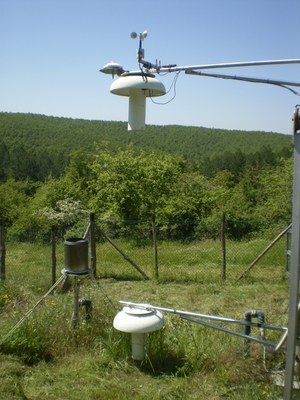 Two automatic meteo-stations, one in the plot under the trees canopy and one in the open field are located in the study area, moreover several types of bulks for deposition are present in the plot. As facilities in the area there are: a laboratory and an accommodation for 20 around persons. Main research topics : climate, vegetation, crown conditions, tree phenology, soil and soil solutions, leaves chemistry, forest structure, tree growth, atmospheric depositions, ozone effects, pilot project on deadwood, lichens and insects. DESCRIPTION: In 1998 a permanent plot (50 x 50 m) was established on the slope of the Nosal Mountain at the height of 970 m asl in 120 year old spruce stand, where in the 120-year-old spruce stand bulk deposition, throughfall and soil solution are collected. The investigations of health status of trees and floral characteristic have been carried out since 2001. The analyses are carried out in a certified laboratory of the Institute for Ecology of Industrial Areas, Katowice (Certificate No AB 325). 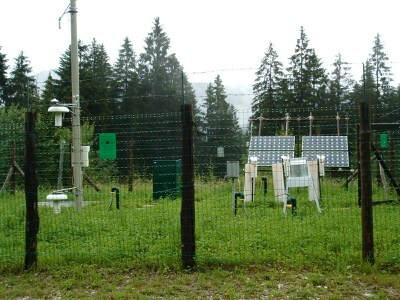 The basic meteo data are taken from the monitoring station located at Kuźnice (about 1 kn from the plot). Main LTER parameters: floral characteristics, dry and wet deposition, ozone concentration, health status of trees, soil characteristics. 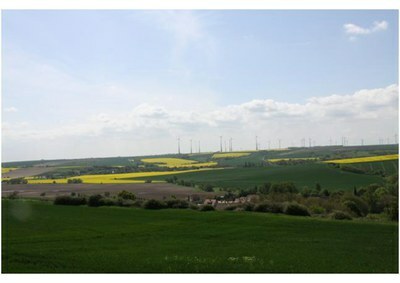 DESCRIPTION: The “Uckermark” Site is a complex terrestrial site with an overall area of 3058 km². Monitoring activities are related to a core area of 240km² size. The region is of glacial orign and consists of 4.3 % water bodies, 2 % fens, 18.4 % grasslands, 1 % Shrubland, 12.6 % forests, 58.9 %arable land and 2.6 % roads and settlements. 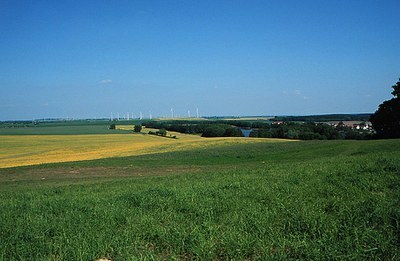 The Uckermark holds a wide range of site conditions and land use types and is thus typical for large areas of north-central Europe. Despite a quite low population density, the landscape is characterised by typical problems associated with intensive agricultural use, such as erosion, groundwater contamination, faunal and floral impoverishment and a lack of hedgerows and fallow strips. Main LTER parameters: Meteorology and climate, Land use, biodiversity of plants and animals, soil properties, soil array measurements, groundwater recharge, surface water properties, groundwater properties, carbon dynamics, ecosystem and habitat structure, primary production, demography. DESCRIPTION: The main purpose of the station is the systematic study of the processes of liquid and solid run-off formation with a special emphasis on the role of forest ecosystems and the factors of coniferous forest management. The information provides the opportunity of making "background" assessments of the effect of the selection, shelter-wood and clear cutting. Another basic aim of the studies is to reveal the main factors, relationships and forms of display of water erosion. 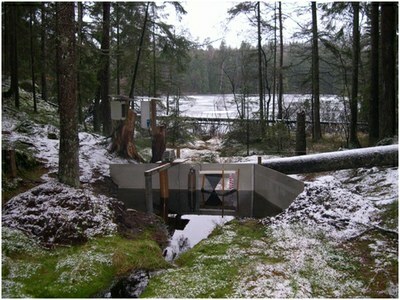 A limnigraphic station is set up at the estuary of each water catchment as well as a network of rain-gauging stations. The automatic runoff gauging stations records water discharges every ten minutes. The observations of the precipitation rate and the resulting water runoff are carried out on a daily basis from the period of spring thawing (the beginning of May) till the autumn freeze (the beginning of November). Systematization of the available hydrological information at Yundola station was performed in a specially set up information database for more than 40 years, which contains data about the daily water quantities and precipitation, air temperature and annual sediment run-off. Main research topic: Beside the main purpose of the station, many other investigations, experiments, student training and group study of all components of the forest ecosystems are carried out there. 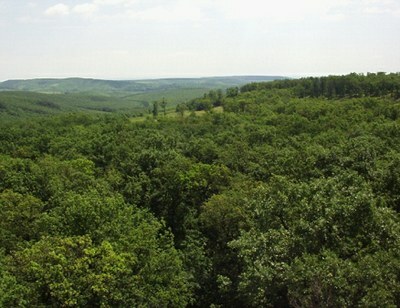 For example, studies were carried out on: the characteristics of soil and litter forest cover, the forest stands and their regeneration, the understanding of run-off chemistry and leaf mass biochemistry, fertilizing, the influence of logging technology on water supply, soil protection, growth functions of the forests, the precipitation chemistry in the case of air pollution, etc. Main LTER parameters: Meteorological measurements, Soil properties, Runoff formation, Biodiversity, Forest stand characteristics. DESCRIPTION: Integrated monitoring station with almost full equipment for air, deposition, soil, and surface water monitoring, including meteorology, and surface ozone. There are 37 POPs in rivulet basin and 9 permanent observation pine stands for pine condition monitoring. Activity at IMS started in 1994, on permanent observation stands in 1991. Main LTER parameters: Meteorology, air concentrations of SO2, SO42-, NO3-, NO2, NH4+, acid deposition of SO42-, NO3-, NH4+, surface ozone.Chemical composition of the soil, ground and surface water. Nutrition state of soil.Dendrometrical parameters of the monitored trees, their health, defoliation level, tree annual increment, mortality, regeneration, dead wood amount, productivity, biodiversity of ground vegetation, epiphitic lichens, and mosses, LAI, FAR. 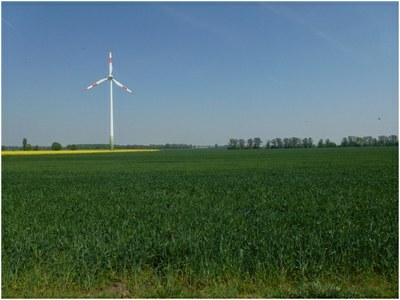 DESCRIPTION: The Zöbelboden was established in 1992 as the only Integrated Monitoring station in Austria under the UN Convention on long-range transboundary air pollution (CLRTAP). In 2006 it became part of LTER Austria. 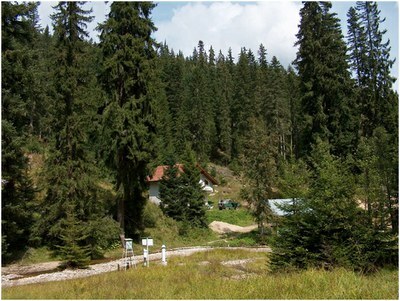 The Zöbelboden covers a small forested catchment (90 ha) of a karstic mountain range (500 to 950 m above sea level) in the Kalkalpen national park. The Zöbelboden represents one of the best known karst catchments in Europe with long-term data series of the major components of its ecosystems. The Zöbelboden is managed by the Umweltbundesamt GmbH. Sampling of chemical specimen is done by local staff. Chemical analyses are carried out by the laboratory of the Umweltbundesamt in Vienna. 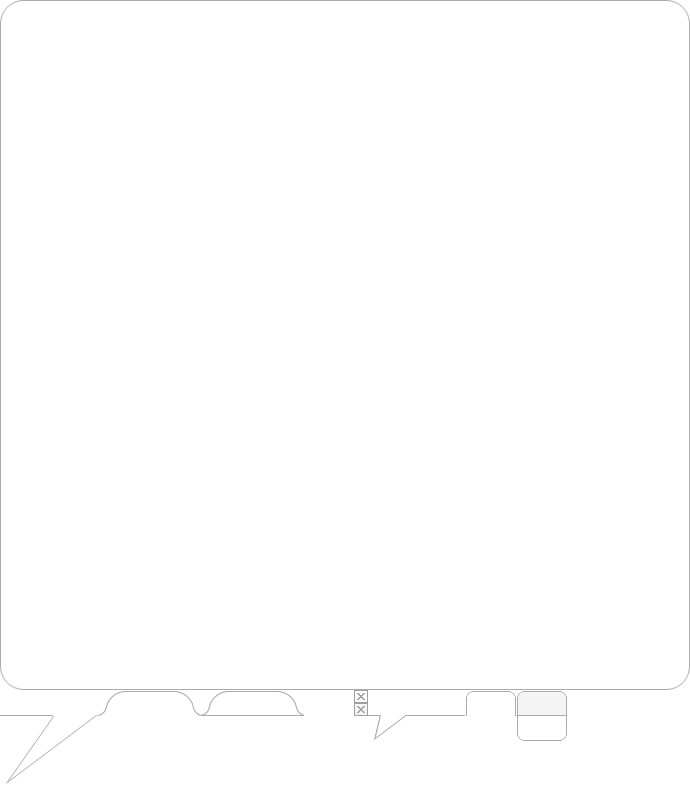 All data and metadata from monitoring and research projects are stored in a semantically structured database. Main research topics: Forest ecosystem research, air pollution effects, climate change effects, biodiversity, hydrology.